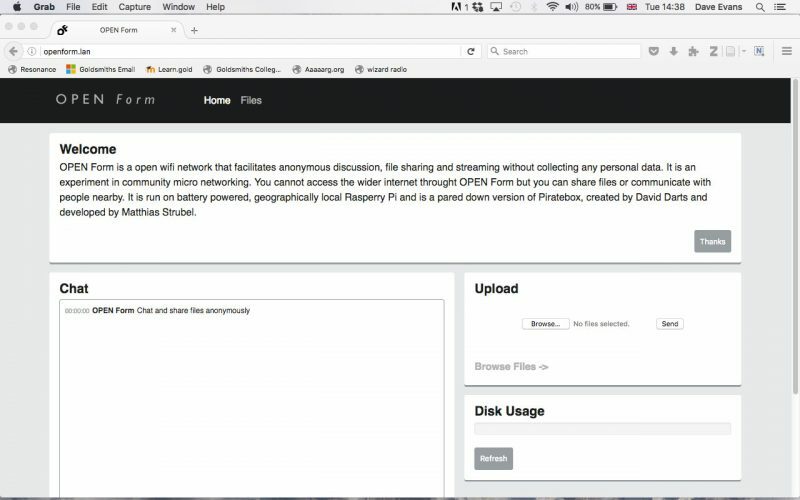 My research into digital asceticism has led me to experiment with creating an local, open wifi network as an 1:1 scale platform (see previous audio steam post for more info about what this is). This is a network that anyone in the vicinity can access. It is hosted locally, so has a limited geographical range. This, if you think about it, is the opposite of mobile data as we usually experience it. Mobile data is usually available anywhere, and a paid account is usually required. When you connect you connect to the whole network, it goes almost anywhere. 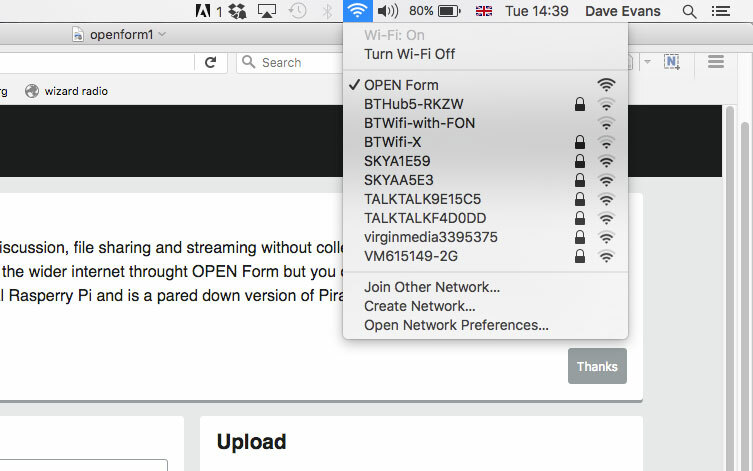 The local open wifi network allows users to connect, as they would normally, but it only leads to one place, in this instance a file sharing and chat application called OPEN Form. 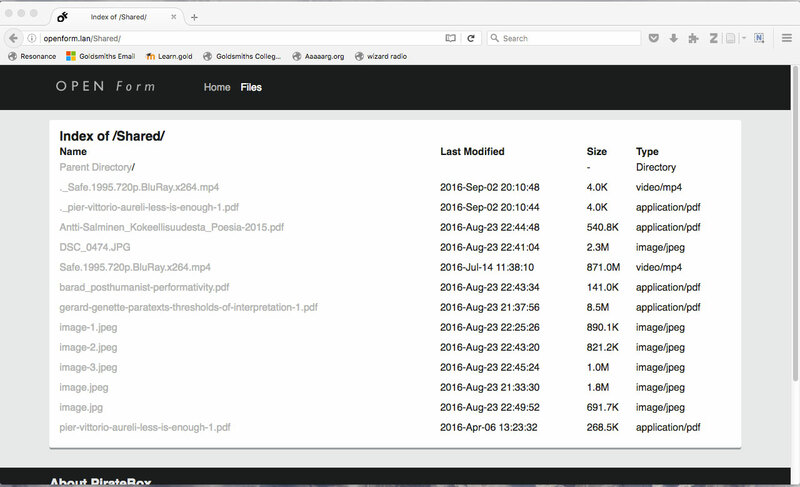 Users must be relatively close to the server (within 30m), and can send files and chat. Although it is open in the sense that anyone can join, as long as they are nearby, it is closed as it does not lead anywhere, except to the content the users themselves provide. Equally importantly, it does not seek to surreptitiously record data and/or usage patterns of users. Part of this years Bergen Assembly was Infrastructure, a research project by freethought that aimed to investigate how the term can be wrested away from the language of planners and technocrats and put to creative and critical use within the cultural sphere. Given that the internet itself is infrastructural, and has become largely the domain of technocrats, the event was a good opportunity to test OPEN Form, as it brings this infrastructure back into the realm of the cultural, allowing users to communicate and share digital content without seeking to capitalise on this exchange or use it as a mode of control. The devices are out there, the OPEN Form network simply allows them to connect. 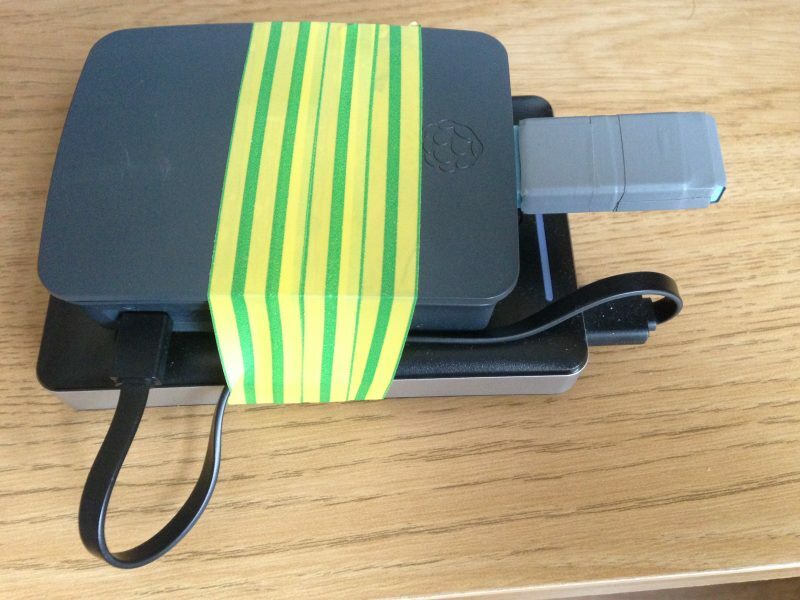 The Raspberry Pi and battery pack.